The Ballinrobe Archaeological and Historical Society members would like to extend its sympathy to all the family and friends of Mr Jim Kierans (83) RIP. Mr. Kierans was a native of Magheracloone, Co. Monaghan, and moved to Ballinrobe in the early 1950s when he joined the staff of the local Christian Brothers School. According to a GAA Club member he had taught at Belvedere College, Dublin previously; was a noted scholar and held a First Class Honours Degree in Classics (Greek and Latin) from St Patrick’s College, Maynooth. A renowned historian, Jim had a book of extracts published from the Ballinrobe Chronicle newspaper titled "A Chronicle of Ballinrobe featuring snippets from the newspaper (1866-1903) sponsored by the Mayo News, Westport, ND and wrote many historical articles for the Bridge Magazine; a local publication in the 1960s. 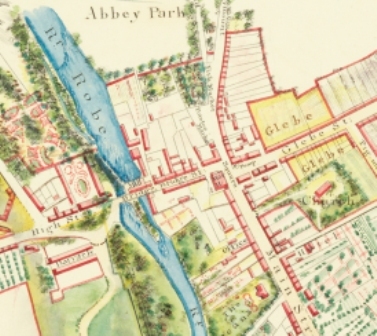 He published extracts from the Ballinrobe Census of 1901 and the half-parish of Partry. One of his other talents was acting with the local St Mary’s Dramatic Society during the 1950s and 1960s. Historians, researchers, authors and students regularly sought or checked information with Jim and could rely on his vast knowledge and connections, which he generously shared. He also contribution to the educational, sporting, cultural and social aspects of the Ballinrobe community and will be sadly missed by all. Jim served at various levels within the local GAA, club including the role of Chairman and, in later years, as President. He was a former Mayo Minor football selector and a member of the backroom team when Mayo won the All-Ireland minor title in 1978. He was a mentor to many generations of young people and played a particular role in helping GAA players further themselves in education, employment and Gaelic football. This page was added by Averil Staunton on 25/02/2013. Remember Jim well. I was a "yank" at the CBS and did not have to take Irish!